This week is the September Release for Picket Fence Studios and I am really excited to show you some of the new stamps! Today I am using the adorable A Bear Kind of Winter. 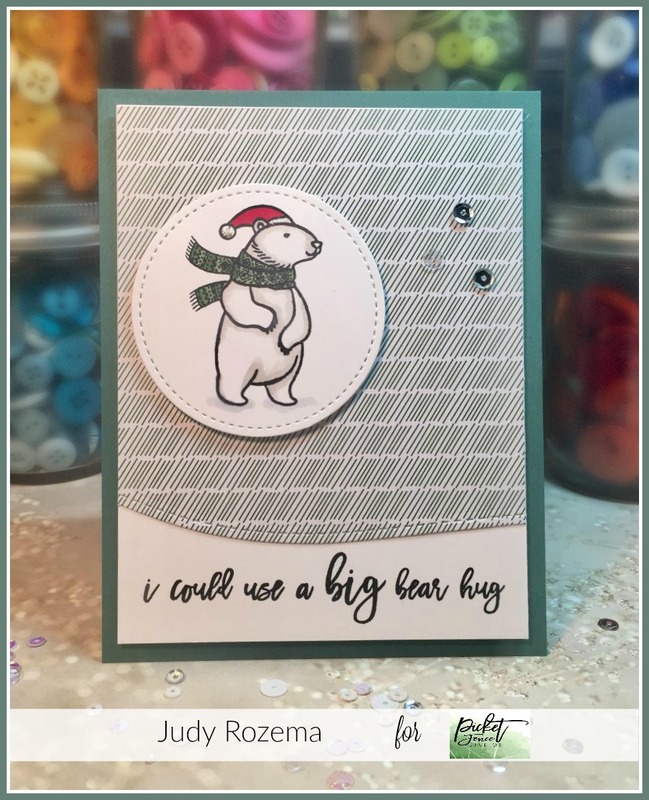 This is the CUTEST polar bear set, with some really fun sentiments. Last week was my granddaughter’s third birthday, and I so wanted to give her a hug. That, and she lives in North Carolina, so even more hugs are needed! Thankfully, they are inland quite a bit. I stamped my bear and sentiment with VersaFine Onyx Black, and then added some shading and colored his hat and scarf with Copic markers.I added some Diamond Stickles to his brim and puff. 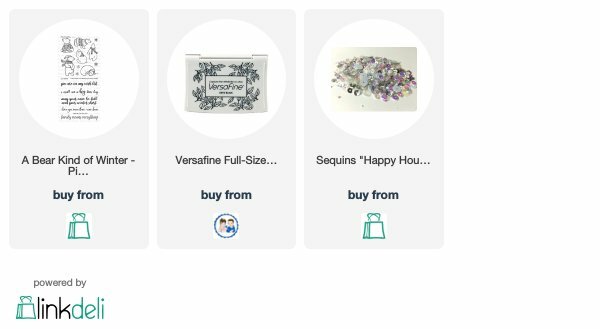 The sparkle is from the Happy Hour – Moonshine set of sequins – lots of winter fun in that package of goodness – including a little clear one hiding between the two silvers! Check out all the fun new stamps in the Shop! Oh my goodness! This set is too, too cute! I just ordered it! 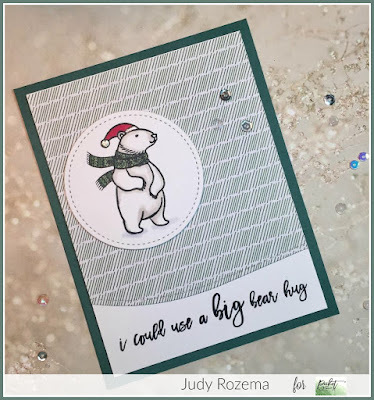 Great card Judy! This is a fun set and love Judy’s card!